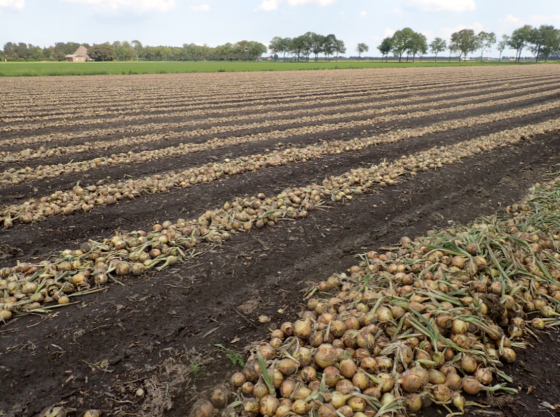 The Dutch agricultural sector booked yet another export record in 2017, the national statistics office CBS said on Friday. Exports totalled €92bn last year, making the Netherlands the second-largest agricultural exporter in the world after the US. US agricultural exports were put at $1.8bn in 2016. Not all the exports were produced in the Netherlands, however. Some €25.5bn of the total was in the form of re-exports from other countries. Flowers and flower bulbs once again topped the list of Dutch exports, followed by dairy products which overtook meat as the second-largest Dutch agricultural export last year. Germany is the most important export market for Dutch farm products, accounting for sales of €23.4bn in 2017, or roughly 25% of total exports. At the same time, the Netherlands is Germany’s most important agricultural export market, the CBS said. After Germany, the biggest markers are Belgium (€10.4bn), Britain (€8.6bn) and France (€8bn). While Dutch exports to Belgium and France increased, they actually fell to Britain probably because of a weaker pound sterling related to Brexit, the CBS said. Exports of other agriculture-related products such as farm equipment, fertilisers and pesticides totalled €9.1bn, bringing the sector total to over €100bn for the first time.